From West Maui you can see a mysterious island in the distance with its mountains often shrouded in clouds. This is the island of Molokai, home to the world’s tallest sea cliffs. You can get to Molokai via a 90 minute ferry from Lahaina, and if you have the time, it is definitely well worth it. You can spend the night, or make it a day trip. A visit to the Kalaupapa peninsula, site of the infamous leper colony, is simultaneously inspiring and sobering. 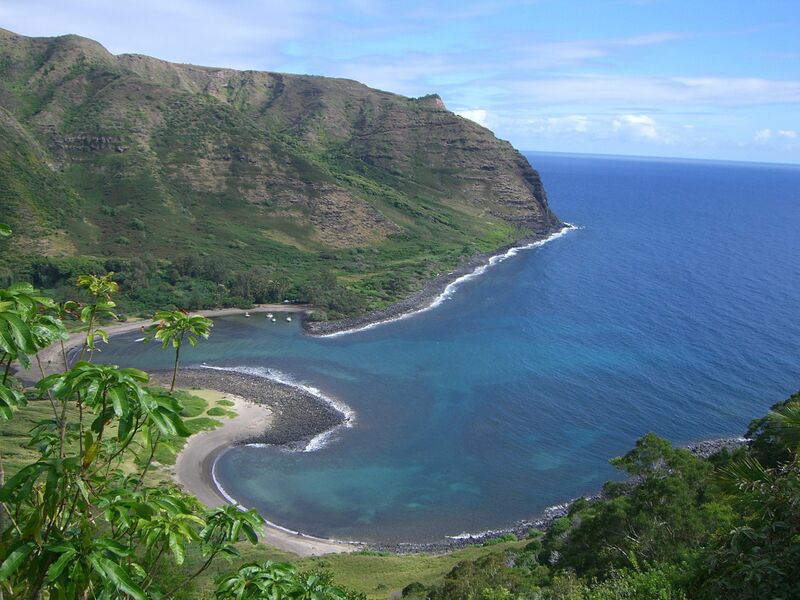 The east end boasts the beautiful Halawa Bay. When I visited several years ago I contacted a local boat captain who took me around the bay to the beautiful north side where you can experience the sea cliffs for yourself. Check out my Pinterest board “Churches and Cliffs of Molokai” for a taste of the island.